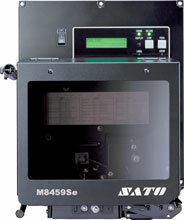 The SATO M-8459Se has been discontinued. No direct replacement is available. 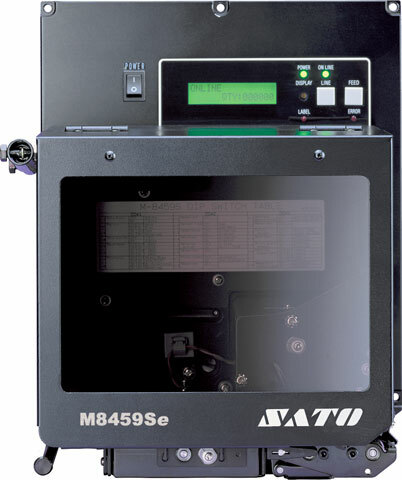 The M-8459Se provides a less costly alternative for print and apply applications. The enhanced M-8459Se provides a less costly alternative for print and apply applications. By eliminating the cost of the thermal transfer ribbon, the M-8459Se becomes a cost effective labeling solution by providing lower cost labels. Direct thermal print engine, 203 dpi, Right-hand dispense (standard), 5 ips, parallel data interface.